Favorite Salad Dressing Discount – Tuesday October 9th sweet? tart? creamy? Today is Tuesday October 9th 2018 and ALB Tech will be open from 11am to 7pm. The deal of the day today is the Favorite Salad Dressing Discount. It’s a 17% discount off your service total here at ALB Tech. All you have to do to save is come into the shop for free diagnostics or repair and talk to us about salad coverings. You’ve got bowl full of leafy green goodness, what do you put on it for flavor & lubricant? 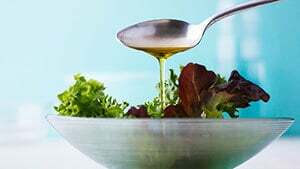 Balsamic Vinaigrette? Ranch? Honey Mustard? Blue Cheese? Goddess Dressing? There are literally thousands of choices. Try to choose your favorite and share it with us today at ALB Tech. We’ll be checking out your computer and you should say something like, “Oh yeah – I love Caesar dressing on my salads.” Yep – thats all it takes to save. Once you talk salad dressing we will knock off today’s 17% discount from your service total. At the shop we’ll be fixing broken tech stuff in Richmond for eight hours today – more than enough time to stop by, talk salad dressings, get fixed up, and save money! Thanks for checking us out folks – we hope to see you soon! Today is Tuesday October 9th 2018 and ALB Tech will be open from 11am to 7pm. Yes – 7pm, it’s a Tuesday!